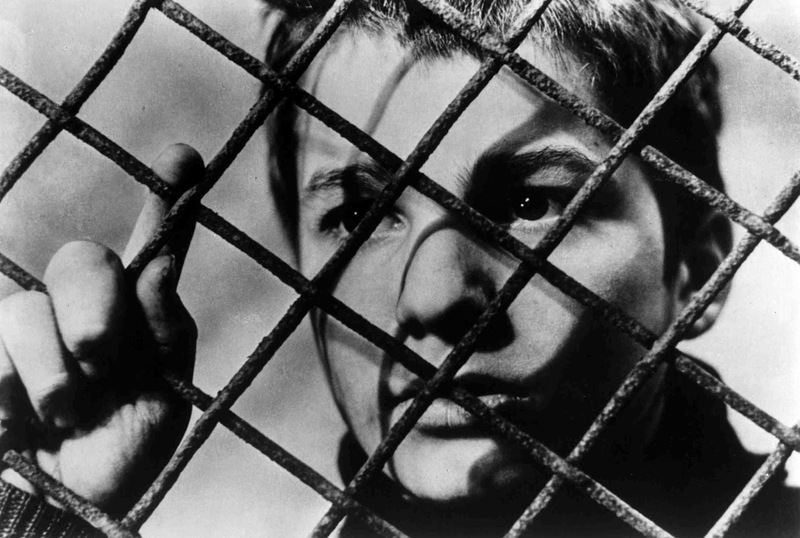 Francois Truffaut’s The 400 Blows is one of the most important films of the French New Wave and one of the most intensely moving coming of age stories ever to be put on screen. The director’s first film, made before his 27th birthday, the movie is an exemplar of Truffaut’s best qualities as a filmmaker: his clarity, honesty, directness, his simplicity and deep feeling. 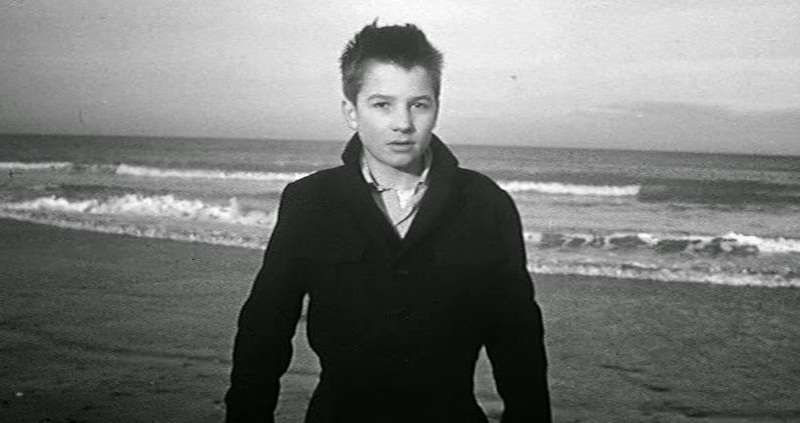 A semiautobiographical movie, The 400 Blows follows the 12 year old Antoine Dionel (Jean-Pierre Leaud, who would reprise the role another four times), typecast by his mostly absent parents and socially incompetent teachers as a troublemaker and a liar, and lets us share in his minor joys and sorrows. The film’s personal nature is made obvious even before the opening credits, when we find out the film is dedicated to influential critic of Cahiers du Cinema and Truffaut’s mentor, Andre Bazin. The sense of intimacy and immediacy continues through the first few shots of the movie, long fluid takes of the middle-class quarters of the city in the shadow of the Eiffel Tower. This is a Parisian’s Paris, seen in traveling shots of the empty streets and buildings and low angle shots directly under the tower, not the postcard cityscape establishing shots. What makes this small personal film a masterpiece is its unrelenting attention to detail and intimate nuances, the little things and private moments, like the young Antoine lighting a candle before a little shrine to Balzac in his bedroom, or the few light-hearted scenes, like the priceless bird’s eye shots of physical education class, as the teacher leads the group in two rows and, in pairs, the students start peeling off until he is left with only two or three boys to lead, or the sudden shift in tone after the protagonist almost burns the house down. Antoine is a ruthlessly self-possessed, solemn, detached young man who lives with his parents in a crowded walkup so small it seems that they are always squeezing out of each other’s way. His mother is commanding, high-strung and he needs to “handle her gently.” She always seems distracted, “under a lot of pressure,” and is having an affair with a coworker. Antoine’s adoptive father is nice enough, easy-going and friendly, but doesn’t really seem to care that much about or be too attached to the boy. “We’ll send him to the Jesuits or army camp” is their solution to any problems Antoine might be going through. Dysfunctional families are apparently more common than happy ones: Antoine’s best friend and partner in crime Rene says his mom drinks all the time and his dad spends all day at the races. After Antoine starts having problems at school and runs away from home a few times, his parents decide he is a lost cause, that “maybe it’s in his glands,” and ship him off, yet again, this time to a juvenile detention center. Tremendous insights into the boy’s emotional confusion and his unspoken agonies are presented in a matter-of-fact, realistic manner, without a false note on the filmmaker’s part. 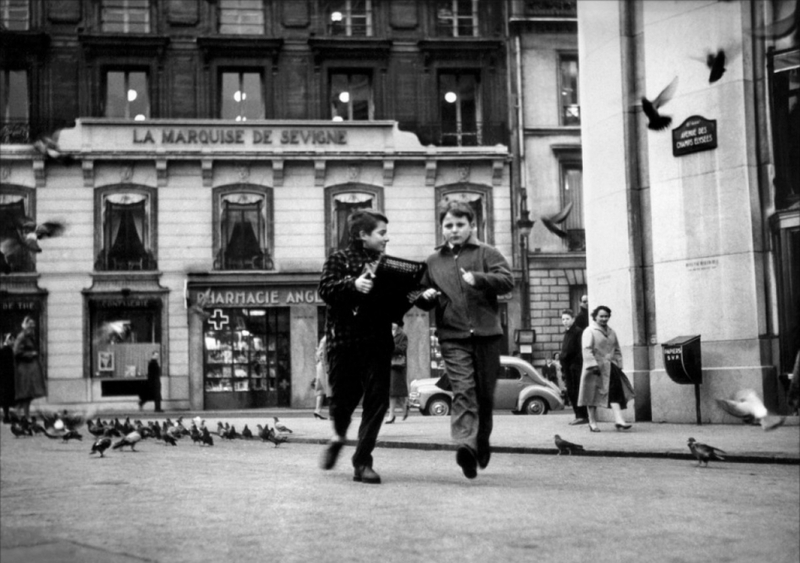 Like De Sica, Truffaut is a sensitive director of children, emphasizing their innocence, naïveté, and resilience without sentimentality or condescension. The contrast between freedom and entrapment is prevalent all through the film. Even the ride in the carousel the boy takes one day when he is skipping school can be defined in these terms. As the roter spins and gravity is defeated by centrifugal force, Antoine is stuck to the wall, suspended above the floor. This creates a sense of freedom—he is defying the gravitational pull—but also a sense of confusion, especially in the way this scene was filmed. We are not entirely sure which way is up, and neither is Antoine for most of the film. In the city, objects seem elongated, the buildings tall and imposing, lining narrow streets, and the inside locations (the school and especially Antoine’s apartment) also create a sense of confinement, with long corridors and hallways. Contrasted to this is Rene’s house, filled with big rooms and open spaces, where the boys are truly free—smoking cigars and gambling—because the parents are never home. After Antoine’s parents hand him over to the authorities, he is contained in small cells and driven away in a police wagon with prostitutes and thieves, as he peers through the bars like a young Dickensian hero, tears streaming down his face. The loosely fitted shots of the sea, which Antoine sees for the first time at the end of the film, are the image of freedom, and also uncertainty. The famous last shot of the movie, a zoom in to a freeze frame, captures the essence of the character. He is caught somewhere between land and water, between past and future, and he doesn’t know where he’s headed.